Newegg is one of the largest marketplaces over the web, and has helped millions of ecommerce stores with greater amount of online exposure and more revenues as a result. At ChannelSale, you can get high-end Americommerce Newegg integration services and get your Americommerce store seamlessly integrated with the Newegg platform. Our Americommerce Newegg app syncs your store with Newegg, and ensures that all your products are able to get the optimal amount of online exposure. Our use of Americommerce Newegg extension and Americommerce Newegg plugin provides your store with seamless integration of the platform and pushes up your revenues real fast. We use multi-channel promotional strategy and software management tools in order to give your store the best online exposure. We integrate according to the norms and policies of Newegg. Our expert marketers find out the main growth areas and give your business the right amount of push that it deserves online. We can offer automated product listing, product stock update information, details about product behaviour and under or overselling issues, real-time inventory management and more. We can ensure seamless data entry and data transfer at all stages. You can always stay updated about product selling prices from competing stores, your store item actions and more. Our Americommerce Newegg connector can establish a parent-child bond when it comes to the association of Newegg with your Americommerce store. With granular level item category mappings, we can sync the items of your store with the appropriate product categories from Newegg. For every new Newegg order, we can create new Americommerce store orders. We can handle kits, bundles, multi-variational products, group products and more. We can offer support to simple items, varied items and products of any type, colour, size and shape. We can give you complete store management assistance services, including shipping and order tracking management services. To get started with us, you can call one of our ChannelSale Client Service Executives. 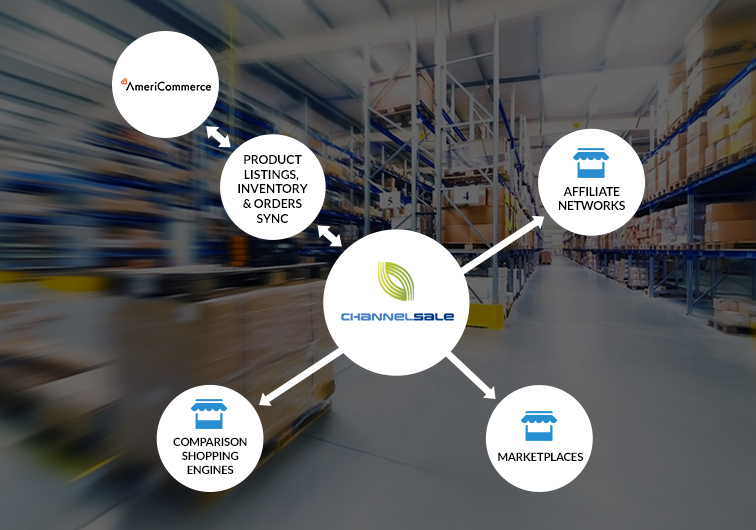 Call us on +1-866-709-9495 and send us a mail at info@channelsale.com to begin integrating your Americommerce store with Newegg or to get further details about our services.